When junior forward Keith Stone crumpled to the hardwood after going up for a block on Saturday, it looked bad. 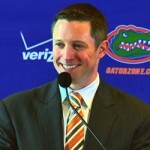 Less than 24 hours later, the Florida Gators confirmed as much. Stone will miss the remainder of the 2018-19 season after tearing his ACL in the team’s 62-52 win over the Georgia Bulldogs in Athens, Georgia. Stone was in the midst of his best stretch of the season when he landed awkwardly on his left knee and laid sprawled out on the court in pain. After a few minutes of attention, trainers helped him up and he limped off the court heavily favoring the leg. 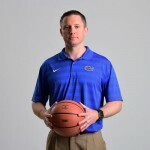 With Stone now out for the rest of the campaign, the Gators’ already lacking frontcourt depth has taken another hit. At 6-foot-8 and 253 pounds, Stone was just one of four players his height or taller seeing regular action, one of two who did not play in the post. 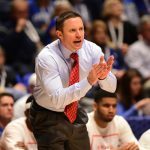 “We’re really disappointed for Keith,” head coach Mike White said. Florida (10-7, 2-2 SEC) is flirting with an NCAA Tournament berth despite its record. 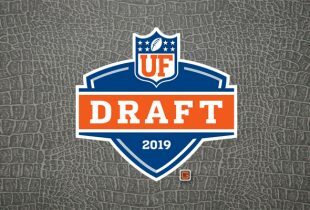 The Gators have every opportunity to make the 68-team field, but their road to the postseason just got significantly harder with Stone now being out.